The presentation started with an informal talk by Bernard Herrmann biographer Steven Smith, an expert on the composer's music, who contends that "the pairing of a master visualist like Alfred Hitchcock and a composer like Bernard Herrmann, who set out to pull viewers 'into the drama,' remains the greatest director-composer partnership in cinema." Many consider Vertigo's score the ultimate of the composer's seven scores for the director (The Trouble with Harry, The Man Who Knew Too Much, The Wrong Man, Vertigo, North by Northwest, Psycho, Marnie), and Bernard Herrmann himself acknowledged that the music he composed for Vertigo was his favorite of his Hitchcock works. Within Herrmann's lush score is a deliberate nod to composer Richard Wagner, particularly the "Liebestod" from Tristan und Isolde - what biographer Smith refers to as Vertigo's "Wagner-tinged love theme." Wagner described Tristan und Isolde as "a tale of endless yearning, longing, the bliss and wretchedness of love...a yearning, a hunger and anguishing forever renewing itself." I can't think of a better description of Scottie Ferguson's never-ending, obsessive love for Madeleine Elster, so flawlessly accentuated by Bernard Herrmann's heart-piercing theme. 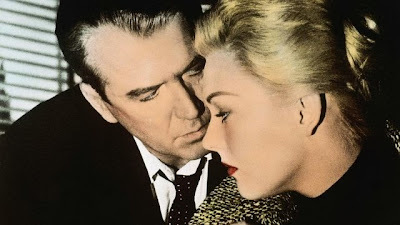 I have seen Vertigo on many screens large and small over the years, from its re-release into theaters in 1983, to countless in-home viewings, to a screening last year at Oakland's movie palace, the Paramount Theatre. As I watched Hitchcock's dreamscape unfold onscreen at Davies Hall and listened to the live performance of Herrmann's score, I thought of Diane Ackerman's poetic Natural History of the Senses and her descriptions of the visual image as a "tripwire for the emotions" and of music that "like pure emotions...frees us from the elaborate nuisance and inaccuracy of words." My experience of Vertigo with orchestra was as profoundly moving as it was unique. My friend Mike, who was once a sound engineer for CBS Records, remarked that the symphony was so perfectly in synch with the film that he found himself forgetting that an orchestra was onstage performing the score. When he did take a moment to watch the orchestra, he said he noticed that conductor Joshua Gersen was "playing to time," keeping a close eye on a clock as well as the sheet music and musicians. 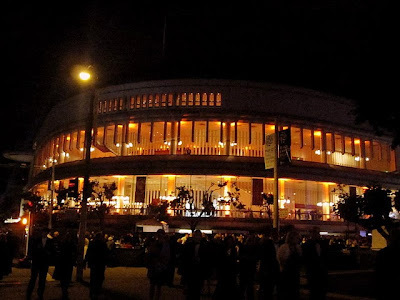 In 2011 I attended my first film with live accompaniment at the San Francisco Symphony when Casablanca was screened and the orchestra performed Max Steiner's memorable score. 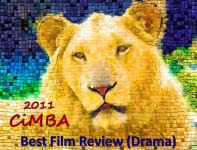 It was exhilarating and I hoped there would be more such events to come. When I learned the Symphony had scheduled a film series to run through its entire 2013/2014 concert season I was thrilled. The Hitchcock Week launch was a great success and four more film-with-orchestra events are still ahead. Classic film buffs in or near the San Francisco Bay Area (or who may be headed this way for business or holiday) shouldn't miss the chance to experience an evening of great cinema backed with live orchestral accompaniment - a pleasure that nearly defies description. 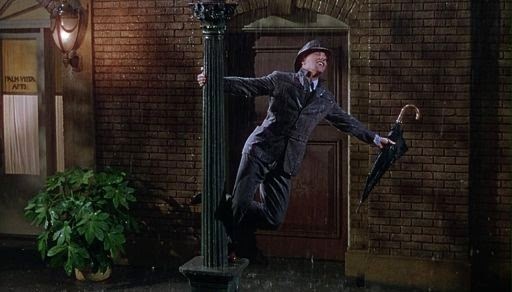 Coming to the symphony on Saturday and Sunday, December 6 and 7, is the film classic voted the greatest musical of all time by the American Film Institute. Stanley Donen and Gene Kelly's Singin' in the Rain (1952), featuring Nacio Herb Brown and Arthur Freed's music, will be presented at 7:30 pm both nights. Conductor Sarah Hicks will lead the orchestra. 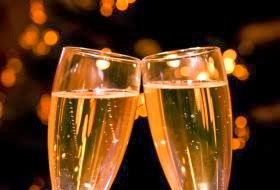 On Saturday, February 15, Valentine's Day weekend, the symphony will present A Night at the Oscars. 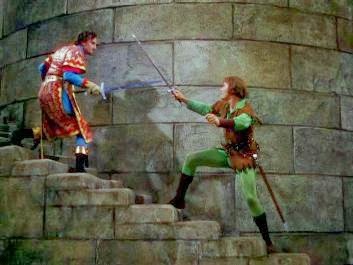 The program will begin at 8:00 pm, and conductor Constantine Kitsopoulos and the symphony will accompany excerpts from The Adventures of Robin Hood (1938), Gone with the Wind (1939), The Wizard of Oz (1939), Citizen Kane (1941) and Ben-Hur (1959) with the music of Erich Wolfgang Korngold, Max Steiner, Herbert Stothart, Bernard Herrmann and Miklós Rózsa. 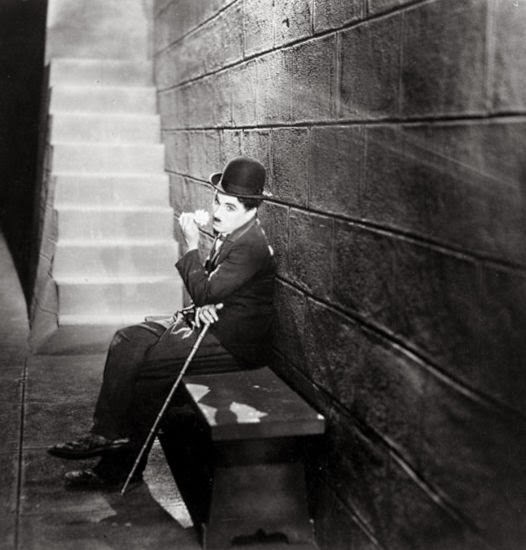 Saturday April 12, brings Charlie Chaplin's silent masterpiece, City Lights (1931), to Davies Hall. Conductor Richard Kaufman and the symphony orchestra will perform Chaplin's score, its main theme based on José Padilla's song, "La Violetera." 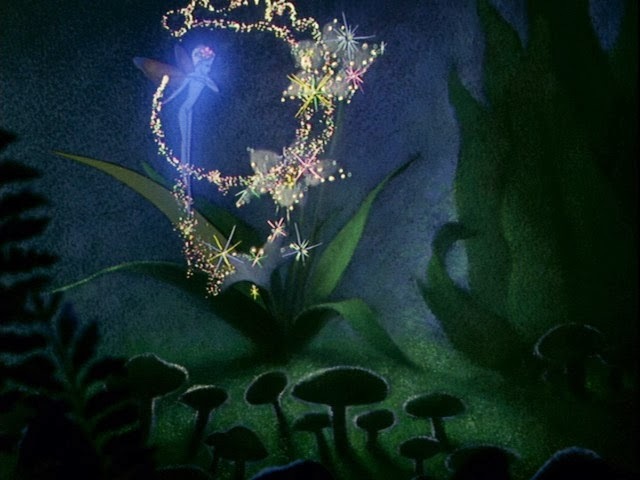 The season's classic film series will end with Fantasia on Saturday, May 31, at 8:00 pm, and Sunday, June 1, at 4:00 pm. These presentations will feature a mix of elements from Disney's original Fantasia (1940) and Fantasia 2000. Sarah Hicks will conduct the symphony in selections including Stravinsky's Firebird Suite, Debussy's Claire de lune, Beethoven's Pastorale, Dukas' The Sorcerer's Apprentice and more. 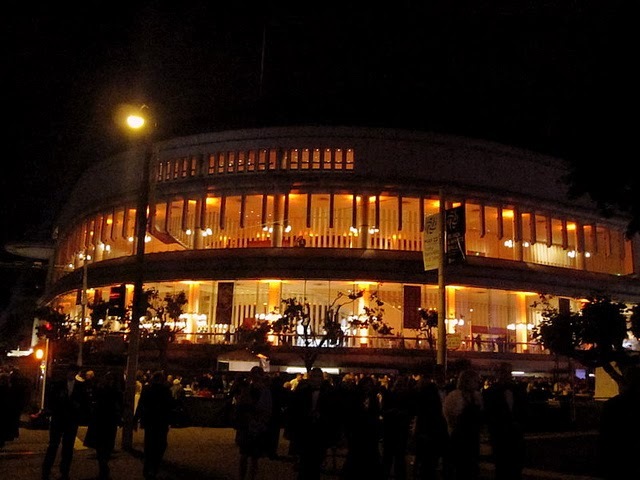 For detailed information on the San Francisco Symphony's classic film series and its "Compose Your Own" special pricing package, click here or call (415) 864-6000. What a magnificent experience. The conductor keeping an eye on the clock is especially intriguing. Like my friend, Mike, I, at times, forgot the orchestra but unlike him, I didn't notice the clock. I wish I had, it would've been a reminder of the task the conductor and orchestra had before them to be - and stay - in synch with the film. 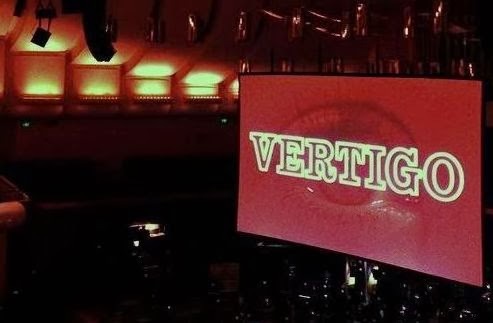 Your love for VERTIGO has come thru in many of your posts so this certainly must have been a real treat, and with your friend Mike’s knowledge of music, that was like cream on top of the cake. Herrmann is an amazing composer and he and Hitch complemented each other, two artists in synch with each other. I did get to see CITY LIGHTS with a full orchestra back in the 1990’s when we lived in the Atlanta area and it was fascinating. Wish the Tampa Orchestra would do something like this but sadly I don’t think there is the audience for it in this area. Anyway, thanks for sharing this fabulous evening! Hitchcock and Herrmann - what a collaboration! I've often wished Herrmann had scored more Hitchcock films, particularly Shadow of a Doubt and Strangers on a Train (Dimitri Tiomkin's music works well enough, but I can only imagine what Herrmann might have concocted). Here's hoping the Tampa Orchestra some days surprises you. Eve, that sounds like a fantastic experience! The VERTIGO score is far and away my favorite among HItchcock films and I can't imagine how incredible it must sound when played live by an orchestra during the film. I have a CD of his HItchcock scores (the early one with the Prague Orchestra) and often play it on long trips. Rick, I'll have to look for the CD you mention. I'm hoping a symphony in your area presents a classic film event or series, you would love the experience - like entering a sensory paradise. Lucky you Lady Eve - this must go down as one of the memorable experiences in life.I can imagine an alternate eperience where you heard the symphony orchestra perform in semi-darkness and visualized the entire film in your mind. The entire series sounds wonderful. Christian, Now that you mention it I probably do know Vertigo well enough to visualize it beginning to end with just the score to guide me. I'll be back to the symphony for City Lights and Fantasia and am hoping the symphony will feature a film series every season from now on. Great balls of fire, I am simply (as Scarlett would say) pea green with envy! What a memorable and magical experience for you. I have seen City Lights with a full orchestra, but never a sound film. And the cocktail sounds enchanting! I wouldn't be surprised if a comparable event isn't in the works in the New York area, Marsha. 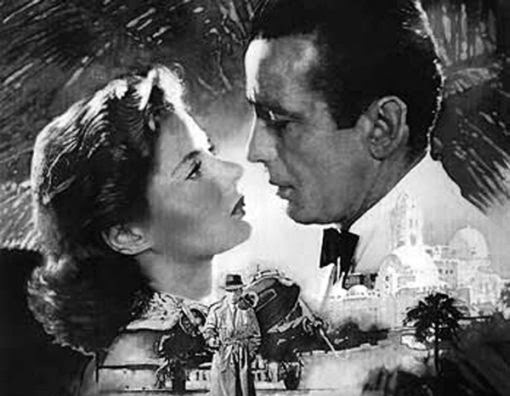 If memory serves, I think Casablanca was being presented with live score at symphonies around the country in 2011, when I saw it. Keep an eye out!